Welcome to reception. 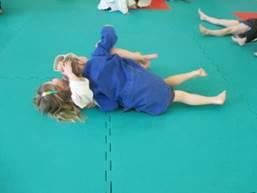 This term we have been learning about ourselves. 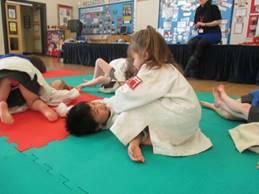 The children have settled in well and made lots of new friends. 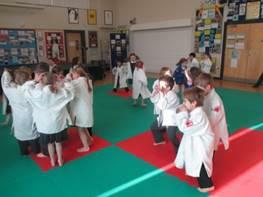 To see some of the things we have been doing click on the link below called Reception Class of 2014-2015. 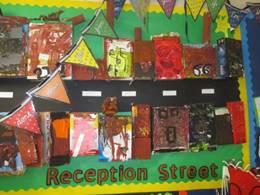 In reception class we have been very busy finding out about different houses and places. We looked at maps and aerial photographs and talked about our families and where we live. 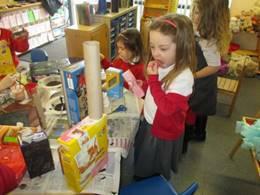 We had great fun using recycled materials and clay to make our own houses. We used 2D shapes to create shape monsters. We named and labelled the shapes that we used. 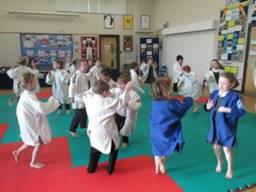 Glynn came into school to work with Reception and teach them about Judo. 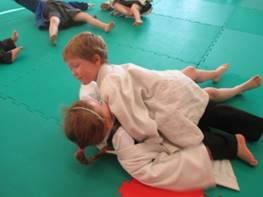 They played lots of games that introduced them to the basics of the sport and then had a go at a few moves. 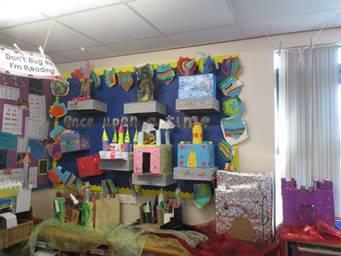 This half term we have had a super time reading and learning about traditional stories and fairy tales. We even wrote about our favourite ones. 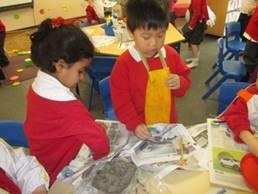 We used collage to create the houses of the Three Little Pigs. 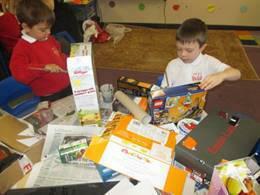 As part of our homework we made our own castles with a little bit of help from our families. We talked about different life cycles and drew the life cycle of a butterfly. We went outside looking for signs of spring. We learned about the story of Easter and created Easter bonnets, which we wore for the Easter performance. In this topic we will be learning about plants and animals and the environment. We will also be looking at transport and how it has changed over the years and investigating the use of a variety of technology.